On a lazy cooking day, is there anything better than going to the Italian around the corner eating some delicious lasagne or pizza fresh from the oven? Bet there isn’t. Going to a nice restaurant from time to time – be it italian, mexican, chinese or indian cuisine – does not only save us from kitchen work, but is also soul soothing, relaxing and most of the time a truly exquisite experience. If you are the owner of a restaurant you can attract and reach out to more guests and customers by having an appealing online presence. Creating a website for your restaurant can be achieved with a few simple steps by using WordPress and a suitable restaurant WordPress theme which is the basis for your website design. You can then fill your restaurant website with great content, like nice photos, your menus, special offers or anything else you want to present to your valuable guests. In case you are still looking for a nice restaurant WordPress theme, then please take a look at our collection of fine restaurant WordPress themes which are perfectly suitable for simple pasta and salad restaurants, classic italian, indian, thai or chinese restaurants, fast food restaurants, fancy gourmet restaurants or anything else related to the restaurant, catering or gastronomy business. ROSA is a SEO friendly and performance optimized WordPress theme which is perfectly suitable for restaurant websites with a professional touch. The included reservation system helps you managing reservations in a very professional and well-organized way. ROSA further offers several great features and options to customize your restaurant website as you prefer and to match your corporate design. Bon Appetit is an appealing and feature-packed restaurant WordPress theme. You can create modern restaurant websites and provide your guests with a great reservation form to make reservations easily. Bon Appetit comes with a fully responsive layout to display photos, menus, special offers or anything else in a well-organized way across all mobile and desktop devices. Dine & Drink is a simple WordPress theme yet offering all needed features and options to create nice websites for restaurants of any kind. You can choose from 5 included example styles - Fine Dining, Salad or Pasta Restaurant, Cake or Coffee Shop - and customize colors, menu styles, header, background and much more according to your needs and requirements. Using Gourmet, you may create all kinds of WordPress websites from the field of gastronomy: pizza houses, fast food restaurants, gourmet restaurants or else. You may select from a pre-configured concept and customize it accordingly. You can further benefit from a fully responsive layout, SEO optimization as well as unlimited headers to create unique restaurant websites for your business. The Flavour is a fine WordPress theme for restaurant websites. It offers a beautiful, minimalistic design as well as a fully responsive layout. Using this great restaurant WordPress theme, your photos and images of interior design, menus and cuisine will be presented pixel sharp on high resolution devices. Benefit further from the built-in animated slider and several customization options to set up truly awesome websites. BERG is a flexible and versatile restaurant WordPress theme which can be used for both - modern or classic restaurant websites. By using BERG you can present your menus in a beautiful way, provide your guests with a professional reservation form and let potential customers reach out to you through your well-structured about or contact page. BERG comes with a minimal design, but yet offers all essential features that a good working restaurant website should contain. Grill is a very modern restaurant WordPress theme with some fancy and smooth parallax effects. This nice restaurant WordPress theme comes with a page builder included to arrange your website content simply by drag & drop. Besides, Grill offers an appointment app to manage table booking in a quite professional way helping you to easily keep track of all your reservations. By using Restauranté you can select from several custom page templates to organize and structure your website content: detail product pages, classic blog feed, restaurant menus, pretty homepage and several others. Thanks to the included Tevolution plugin, you can further create your own custom post types to display your content according to your preferences, needs and requirements. Capella is a stylish restaurant WordPress theme with a couple of fancy parallax effects. This powerful restaurant WordPress template offers an advanced admin panel to tweak your website to meet your personal needs and requirements. Capella comes with some further great features, like a fully responsive layout, retina readiness and a professional reservation and contact form. White Rock is a feature-rich WordPress theme which can be used to create all types of different restaurant websites. White Rock is retina ready as well as fully responsive and offers a great bunch of customization options for colors or else. Using the included Flickr and Twitter widgets you can display images from these sources as well and present them nicely on your website. Ristorante is a great template for WordPress websites about catering, gastronomy or restaurants. By using this restaurant WordPress theme you can take advantage of the integrated Event Enquiry Form so your guests can make reservations and bookings quite easily. You can further use the fullscreen slider to show menus, dishes and your cuisine in a pretty and beautiful manner. How do you like these restaurant themes? Have you ever used any of these restaurant WordPress themes for your website? Which theme did you like most? We’re always happy to get feedback on our themes collections. In case you haven’t found the right theme yet, please also take a look at this restaurant WordPress themes collection. Such a great collection of restaurant WordPress themes. I like all of them, especially the “ROSA”! I will definitely try to use it. Thanks for sharing such a nice list of WordPress food themes. 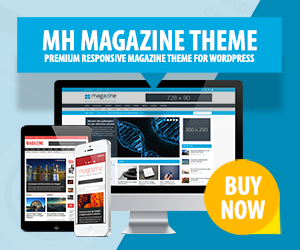 Hello, what a great WordPress theme collection for restaurant, really impressed. Thanks for sharing!! !